Dr. Hyungbae Kwon of The Max Planck Florida Institute for Neuroscience has been awarded a 2018 NIH Director's Pioneer Award. This prestigious grant, established in 2004, is intended to fund groundbreaking, high-impact approaches to a broad area of biomedical or behavioral science. Dr. Kwon is one of just 10 U.S. scientists to receive the Pioneer Award in 2018. He will receive $6.8 million over five years for his project entitled 'Cracking the Neuromodulation Code at Single Cell Resolution.' The grant is the largest in the six-year history of the institute, and marks the second time a MPFI researcher has been awarded a Pioneer Award. "I am honored to receive this recognition and support for this exciting research. For the past decades, remarkable efforts have been made to understand biophysical properties of neurons and wiring diagram of neural circuits in the brain. However, very little is known how internal brain state is regulated and how it affects our sensation, perception and cognition. With this Pioneer Award, I can now begin to dissect fine scale neuromodulation actions in a quantitative manner." said Dr. Kwon. Dr. Kwon received his Ph.D. in Dr. Pablo Castillo's lab at the Albert Einstein College of Medicine, and postdoctoral training with Dr. Bernardo Sabatini at Harvard Medical School. During his postdoctoral period, he used cutting-edge laser-based optics to understand mechanisms of excitatory synapse formation at single synapse resolution. 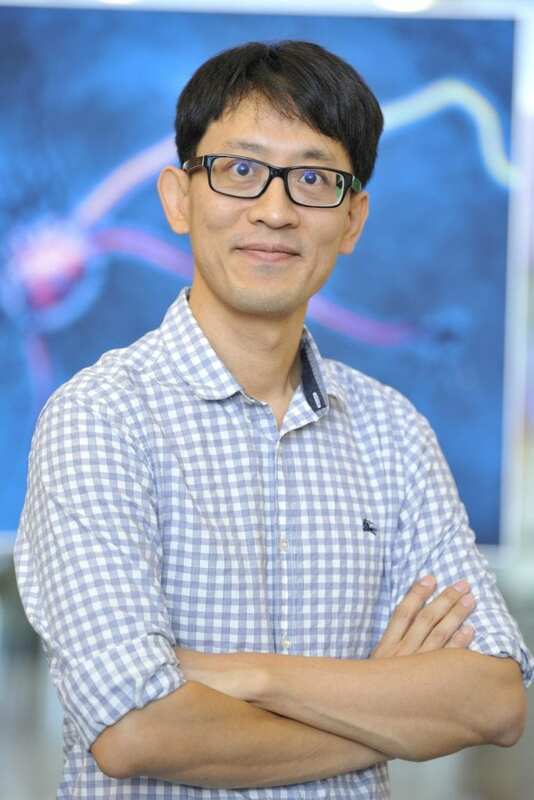 "Hyungbae Kwon is an outstanding young investigator whose creativity and productivity leave little doubt that he is at the start of a highly successful independent research career. He is highly deserving of this award and I am extremely proud of his achievements," said Dr. David Fitzpatrick, MPFI's CEO and Scientific Director. NIH Director's Awards are prestigious awards that are given to exceptionally creative scientists proposing high-risk, high-impact research at all career stages. The awards were created to support unconventional approaches to major challenges in biomedical and behavioral research. Kwon's funding will allow him to study neuromodulators using light. While much focus has been placed on studying neuronal connections within the brain, questions about internal brain state remain unanswered. Behaviors like these are a function of neuromodulators – separate from neurotransmitters that mediate fast information transfer in neuronal network. For this project, Kwon's lab has created a new light-inducible Tango system, named iTango2, that allows gene expression by both light and a type of chemical reaction called ligand. When applied together, neurons that are activated by neuromodulators can only be labeled when light is illuminated, making it easier for scientists to target neurons that are relevant to selective behaviors. Kwon's research will add higher degree of understanding in brain functions whose abnormalities are implicated with various types of brain disorders such as ADHD, depression, and schizophrenia. The Max Planck Florida Institute for Neuroscience (MPFI), a not-for-profit research organization, is part of the world-renowned Max Planck Society, Germany's most successful research organization with over 80 institutes worldwide. Since its establishment in 1948, 18 Nobel laureates have emerged from the ranks of its scientists. As its first U.S. institution, MPFI brings together exceptional neuroscientists from around the world to answer fundamental questions about brain development and function and to develop new technologies that make groundbreaking scientific discoveries possible. Their research is shared publicly with scholars, universities and other organizations around the globe, providing the necessary foundation of knowledge to develop treatments and cures for brain disorders such as autism, schizophrenia, Parkinson's disease and Alzheimer's disease. For more information, visit http://www.maxplanckflorida.org.